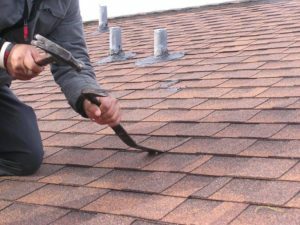 Flat Roof Repairs Johannesburg is : Four supporting walls, a concrete slab (body) reinforced with steel bars (skeleton) and a waterproofing with painted finish (raincoat). 1 ) Poor original design & construction: no practical solution when construction was done cheaply and hastily. 2 ) Can only be rectified with major repairs : drain (Weep) pipes too small in diameter. incorrect sloping of surfaces, causing pooling. 3 ) No or ineffective care or maintenance. 4) Prolonged exposure to the sun, heavy rains. 5 ) Abuse requires awareness and education. I have been subjected to abuse , mainly through ignorance. The gardener uses me as a platform to trim the vegetation next to me. Small stones under his shoes puncture my raincoat. He does not clear my weep pipes allowing rainwater onto my porous concrete surface. Ultimately, water always finds the weakest point to penetrate. Over the years this has compromised my ability to protect my home. The acid in rainwater eats away at my skeleton causing it to rust. When one of my ceilings collapsed my owners were shocked into action. 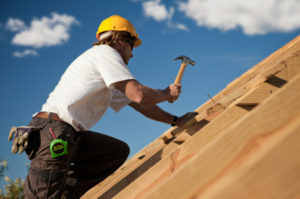 They got 3 quotes to repair Flat Roof Repairs Johannesburg. They educated themselves by getting professional advice from roof paint suppliers. The better products available and their application. The necessary steps to be taken in repairs. They learned that the natural movement in the earth affects my condition and that I require as much care as say, for a car. They got 3 quotes and armed with their new found knowledge were able to ask the right questions for their selection process. They realised there were hidden costs EG in order to test the work effectively hundreds of litres of their water would be required. They insisted that no final payment would be made until they were satisfied with the job and that all rubble would be removed.